We begin in 2011 in Lahore. 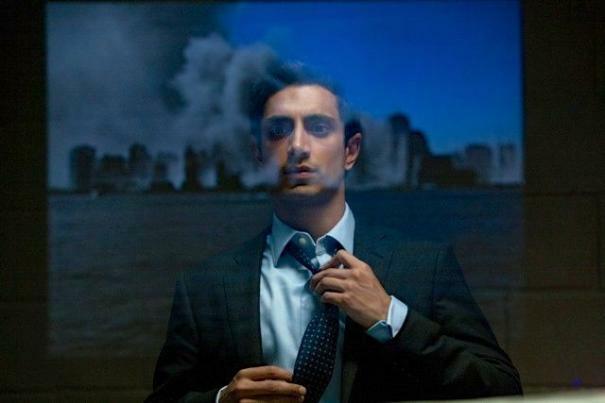 At an outdoor café a Pakistani man named Changez (Riz Ahmed) tells Bobby (Liev Schreiber), an American journalist, about his experiences in the United States. Roll back ten years, and we find a younger Changez fresh from Princeton, seeking fortune and glory on Wall Street. The American Dream seems well within his grasp, complete with a smart and gorgeous artist girlfriend, Erica (Kate Hudson). But when the Twin Towers are attacked, a cultural divide slowly begins to crack open between Changez and Erica. Changez’s dream soon begins to slip into nightmare: profiled, wrongfully arrested, strip-searched and interrogated, he is transformed from a well-educated, upwardly mobile businessman to a scapegoat and perceived enemy. With time, he begins to hear the call of his own homeland. Taking us through the culturally rich and beguiling worlds of New York, Lahore and Istanbul, "The Reluctant Fundamentalist" is a story about conflicting ideologies where perception and suspicion have the power to determine life or death.